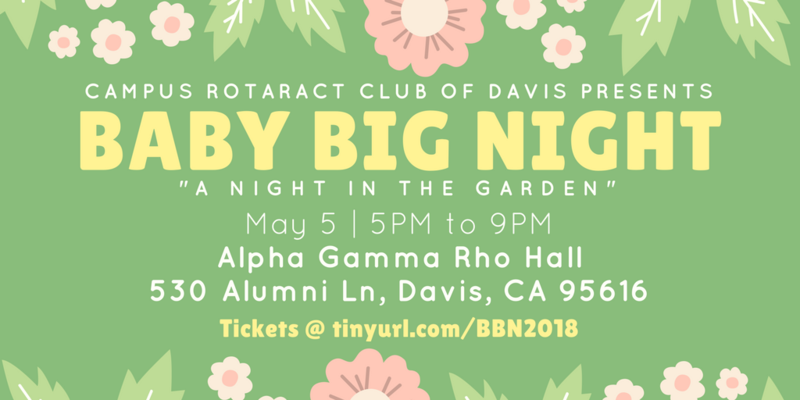 Every year, Campus Rotaract Club of Davis hosts a charity dinner called Baby Big Night. Baby Big Night is similar to Davis Rotary’s Big Night; A fun evening with mingling, auctions, and live entertainment. 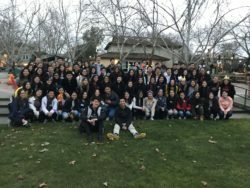 While Davis Rotary’s Big Night benefits child abuse prevention, Baby Big Night fundraises money for an annual project called Baby Packs. Baby Packs is a project in which the Rotaract club hand sew baby hats and bibs and send them in packs filled with baby bottles, multivitamins, medicine, and other necessities to mothers in Jaragua, Brazil who do not have the resources to obtain them. For more information, go to http://babypackproject.webs.com or contact us at [email protected]. Our theme for the 2018 Baby Big Night is A Night in the Garden!